A master of business administration (MBA) is a graduate degree earned at a university that provides theoretical and practical training to help graduates gain a better understanding of general business management functions. The MBA degree can have a general focus or a specific focus in fields such as accounting, finance, or marketing. 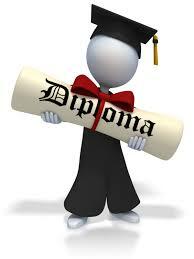 A master of business administration (MBA) is a level up from an undergraduate business degree. An MBA generally places the graduate well above those with only undergraduate degrees. Most major universities and colleges provide MBA programs, which usually last two years. To get into an MBA program, an applicant needs to take the Graduate Management Admission Test (GMAT) and be accepted by the program based on its selection criteria. MBA programs typically include core classes in accounting, management, finance, marketing, and business law. Management training is at the heart of any MBA curriculum, with a focus on leadership, planning, business strategy, organizational behavior, and the more human sides of running a large or small business. Increasingly, MBA programs are broadening their focus to include training in international business and to focus on the responsibilities and corporate accountability of businesses within their communities. The MBA degree is seen as absolutely essential to enter certain fields, including hedge fund and private equity firms, and strategic planning. Other financial services fields, however, may no longer consider an MBA an entry-level degree to get started. While MBA candidates can focus on one of the core disciplines of the degree, such as management or finance, many MBA programs allow students to develop concentrations in specific industries. For example, an MBA student might specialize in sports management, entrepreneurship, the entertainment business or health care management. Even within a management specialty, MBA degrees can allow a concentration on information technology, hospitality, education or criminal justice. Some MBA programs team up with various professional health care programs, such as nursing schools, to offer joint degrees. Specialized MBA programs are also available for students whose lives and careers don’t permit them to attend school full time. Executive MBA programs are designed for working professionals hoping to add to their credentials and qualifications. These courses of study typically schedule classes for nights and weekends, sometimes also requiring short residencies of intensive coursework. Executive MBA programs are typically only open to candidates who already have substantial professional experience, and they, therefore, tend to focus on more advanced topics such as leadership development.